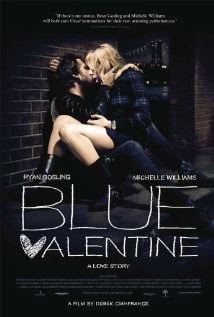 Blue Valentine: Ryan Gosling and Michelle Williams portray characters at both the beginning and end of a relationship. Career Girls: A strange but masterful film by Mike Leigh about two college students still forming themselves as people and their meet-up many years later. Like all Mike Leigh films, the naturalistic acting makes you realize how stylized most movie acting really is.